Having recently been in Germany, I can tell you that transit in the US in every city really pales in comparison to German transit and I can say pretty affirmatively, compared to Tallinn transit, most of the US transit system is quite sad in comparison. It’s not just that our house is located in between three bus stops and very close to a tram stop as well, it’s that the buses always come on time (+/- 2 minutes, they wait if they’re early though) and transportation here runs basically constantly on 15 minute or less cycles going to most of the places I want to go. 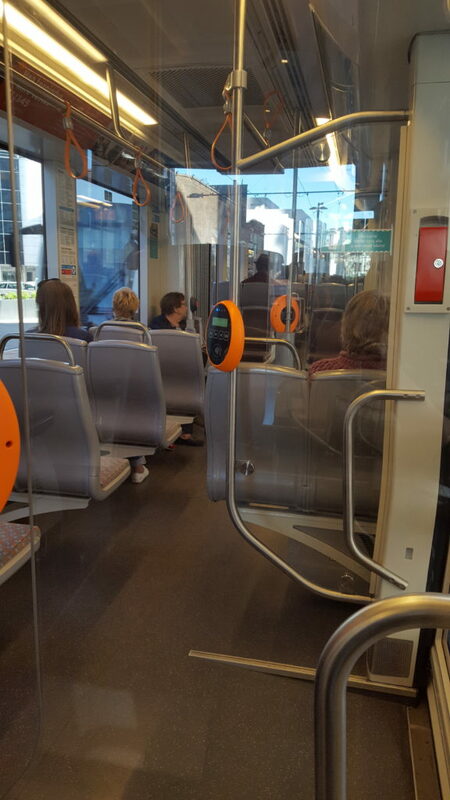 The whole model runs on the hub and spoke so you can take a tram to a bus transfer or vice versa easily. Oh, and did I mention that it’s free? 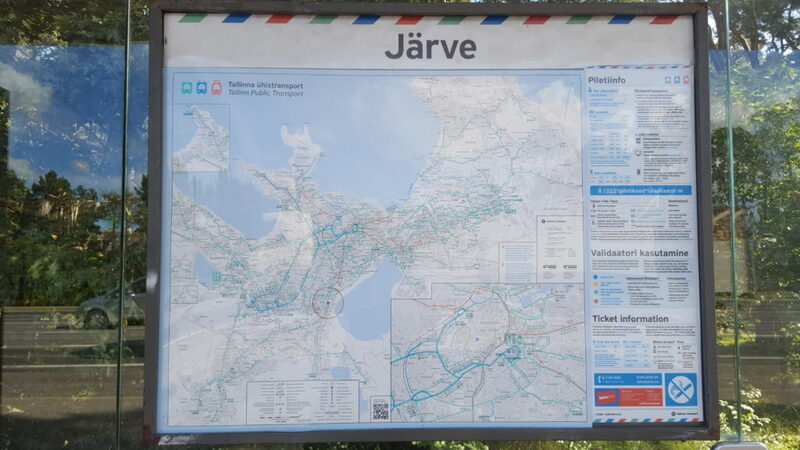 So first things first, I’m only talking about transit in Tallinn as other cities in Estonia have different systems. Now that’s out of the way I have to say I told you a white lie, the free thing is only for residents but for everyone else there’s Ühiskaart or a SmartCard for transit. 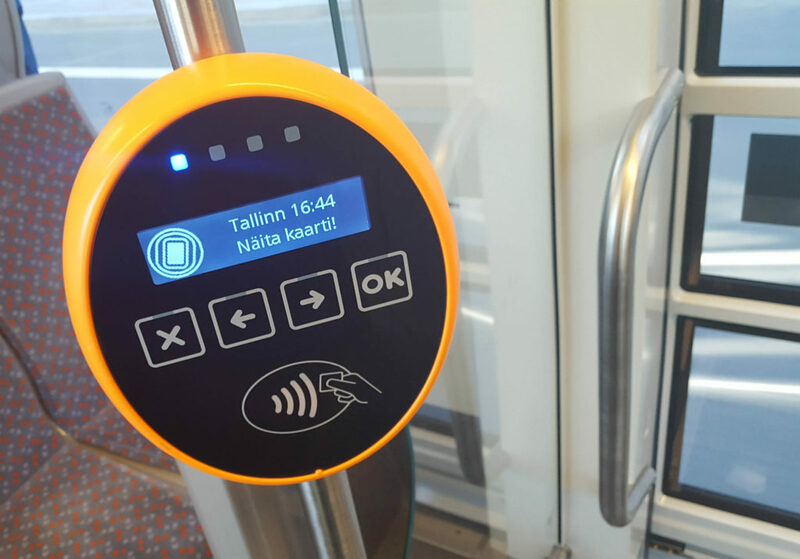 If you decide not buy an Ühiskaart you will have to pay a whopping 2€ per trip and have to interact with the driver every time so if you come to visit I would suggest your first stop be at R-Kiosk [Estonia’s 7-11] in the airport to buy your transit card. 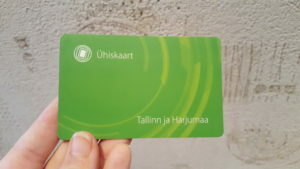 The card itself cost 2€ and then you can buy 1, 3, 5, or 30 days of unlimited travel with it maxing out at 23€ for the full 30 days. Once you’ve bought a card you can simply reload it online with the number of days or amount of money you’d like to after that. Transit works a little differently in Estonia than in the US but it’s a kind of comfortable medium between decent US city transit and Germany’s pretty much perfect system. I wonder if most/all EU systems are built similarly but I’ll have to keep you updated on that. In the time meantime in case you haven’t visited Europe I’ll give you a quick rundown of how the transit system works and how to use the specific one here. 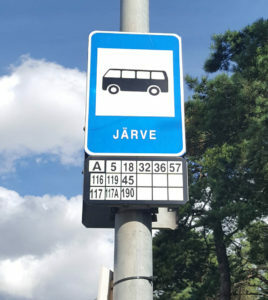 So the first confusing thing is that there are buses, trolleybuses AND trams and they have overlapping number systems so you have to be sure to pay attention to the number AND the icons. 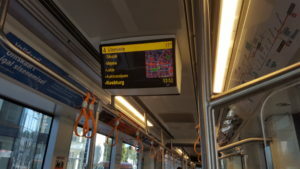 In addition to the icon, the symbols are color coded on some signs: green for bus, blue for trolleybus, and red for tram. Obviously the German system where they give them separate line names by adding letters for type seems much easier to me but you take what you can get. There are 4 lines of tram, 5 routes of trolley, and 73 intra-city lines of bus. 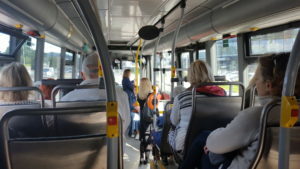 You can take any bus up to and including the 73 with the free transport card, there are buses beyond that number but they go outside of Tallinn and you’ll have to pay to use them. When you get to a stop you will notice that every stop has a name instead of cross streets (many US systems run on cross street systems which can be confusing if the bus goes down the same street for a long time). Every stop name is clearly marked on the sign along with the numbers of the vehicles that service that stop on a pole next to shelter. Sometimes you’ll be at a stop and there will be two shelter pavilions – this means two types of services stop there. For instance buses AND trams. You’ll want to sit or stand near the one with the number you’re trying to get on as drivers will pull up as close to the correct shelter for their number as possible. First off, you can always tell what direction you’re going in because of the arrow. Google maps will refer to every bus by its end stop name. That will also appear on the bus along with the number. So in this case the 4 Tram is called “Tondi” on this side of the street. If you want to go the opposite way most bus stops are fairly obviously on the other side of the street directly across, the tram on the other side in this case will be called “Ülemiste”. The sign also highlights which stop you’re at now, in this case it’s “Kosmos”. 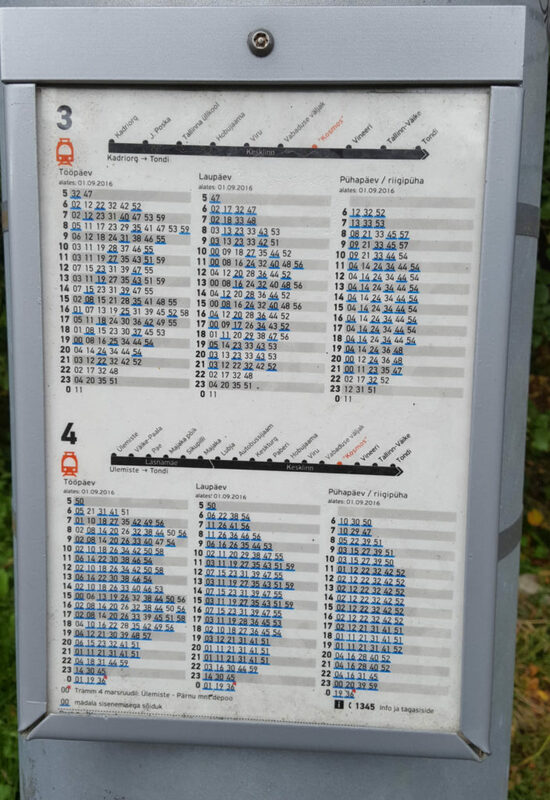 Estonians use the 24 hour clock so figuring out when the next tram comes is easy. If it’s 14:16 on a Monday, the next one will come at 14:18. But wait! There’s three columns! The first says “Weekdays”, the second is “Saturday” and the third is “Sunday/Holiday”. Service does dip slightly on Saturday and even more on Sunday but I haven’t had any issues getting around. As you can see trams (and buses) run from about 5:30am until about half past midnight. You might also be wondering about the blue lines under some of the times. Those indicate special areas on the trams or buses that allow strollers and wide packages to be brought on easily – very convenient. Now you have your card, you found the correct bus, you’re going in the right direction and you know when a tram will show up so you might wonder about getting on procedures. As far as I can tell trams and buses stop at every stop. I have yet to have to hit a stop button or when I’m waiting even be particularly close to the stop for the driver to pull over. I’ve had a driver let me cross the street and they waited for me to board so that will not be a problem. 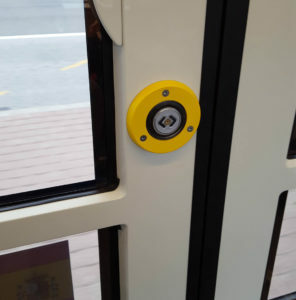 Most buses and trams have a section of doors that auto open but some only open the first door and you’ll be presented with a button instead. The button will glow green when it’s ready to be opened and won’t release at any other time, once it’s activated it’ll turn red and you’ll know it’s about to open. It’s 50/50 if you have to hit it or someone else will but people are very cool about it. Now you’re on the bus or tram, how do you pay? Just look for these readers, they’ll be next to each door on the right or left (sometimes both) and simply swipe your transit card over the magic box. Every door has a card reader so you can enter at ANY of them. The reader will blink green and make a small noise if it’s been successful. The rules for transit are basic decency. People will sit on the inside if it’s okay to sit next to them or on the outside if not, people generally move in if it starts getting full. Like Germany people tend to be quiet and there are many rules posted including no food, drinks, smoking, etc. If it’s very busy, you can sit in the disabled/children/pregnancy section or stand in the stroller one with the understanding that you’ll move if anyone needs the service. People tend to keep to themselves, especially if it’s busy and many people stand during the ride – usually next to the door. People who are disembarking go first when the doors open before new riders come on. If your card doesn’t work or you forgot your card, you can go up to the front cabin and there’s a small box (people will point you to it once you look confused) and you can place a 2 euro coin in there and the driver will take it and you’ll get a ticket for the ride. Like Germany it’s an honor system, no one is really paying attention nor will they rat you out if you just hop on but it’s possible that the police will come on for a random check and if your card isn’t valid and you have no receipt it’s a fine so just try to remember to scan your card. You’ll see people doing it at every stop and you can do it at any point in the ride so if a lot of people get on don’t feel too much pressure to shove someone to scan your card right away. Meaning the bus is about to stop at Viru right now (if Viru is your stop you should make your way to the door) and the next stop will be Hobujaama (if that’s your stop you don’t have to do anything until the next announcement). Stop are announced about 30 seconds before and doors open and close fairly briskly so it pays to be ready to get off the bus asap. Don’t worry if you miss your stop though, most stops are within walking distances, sometimes as little as a 5 minute walk. The most important thing to remember is: you do not swipe your card at the end of the ride, ONLY at the beginning so once you’re at your destination hop off and enjoy how easy that was! This got REALLY long but I want you to know there’s two styles of trams, an old style that are refurbished by way of the Czech Republic (they were originally German though) and the new style, which are very fancy. 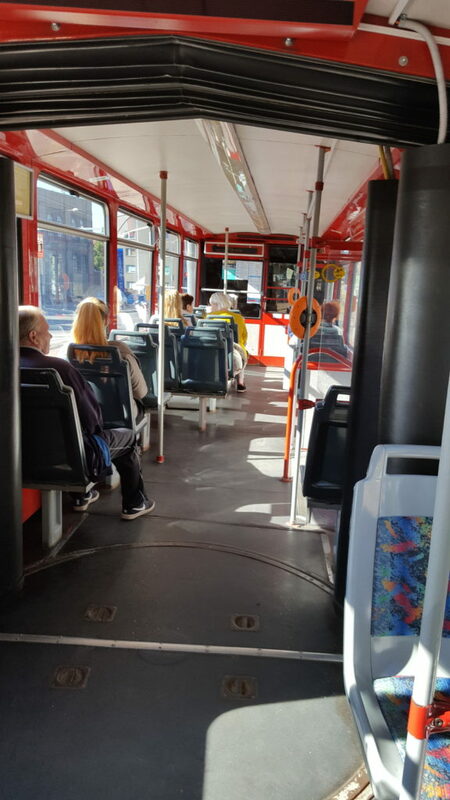 They both work fine and all the buses and trams are the same high standard of extremely clean, good smelling, well maintenanced vehicles but the atheistic is quite different! 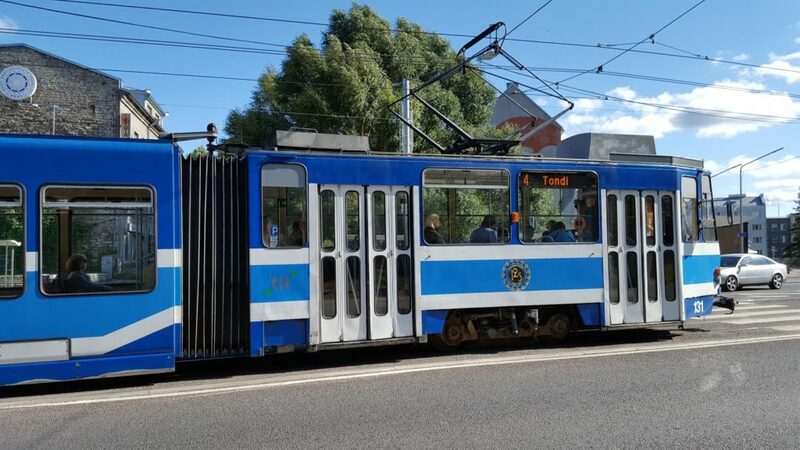 Old Style Tram: they are smaller with less doors and less seats instead. They have a very 80s school bus look. Buses look halfway between the old and new style trams now that I’m looking at it! Despite the age these are clean and well kept. 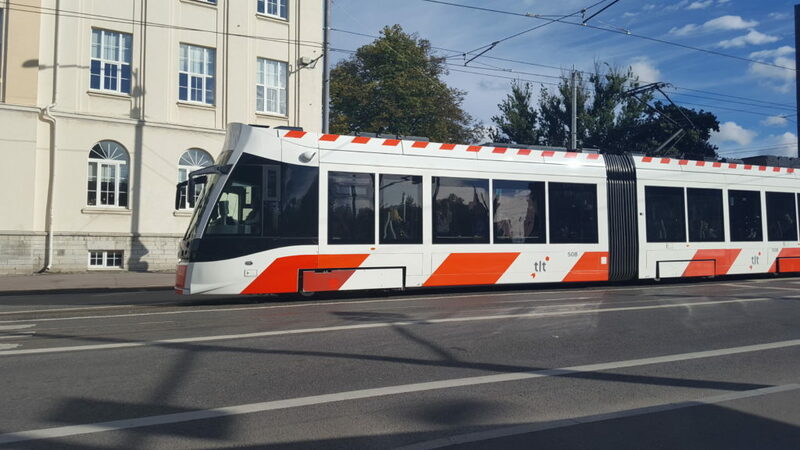 New Style Tram: Just much sleeker looking all around. The pattern is still silly on the seats but less technicolor at least. And yes, all of them are this clean. They’re around 4-5 years old.